During your stay or work in Tunisia you may need many different documents submitted or translated for you. 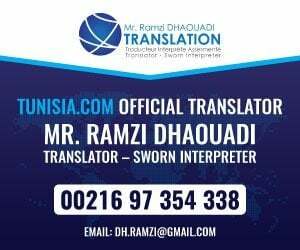 Unfortunately Tunisia has a requirement for many licenses, permits and applications often for the most simple of undertakings. Not only can we translate your documents, but we are able to take the legwork out of submitting the documentation for you when required. This is especially useful for business people who do not have the time to sit in queues in the Tunisian administration. We are able to collect your documentation from your office and or receive your documentation from Rapid Poste from inside or outside Tunisia. We can also work with are partners at Expat Solution if your require a more in depth relocation and company setup service.